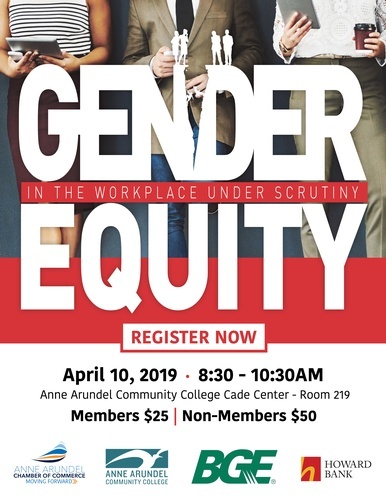 Gender equity has become a national concern and many companies have taken steps to address the issues surrounding the gender gap. The Chamber will be offering a unique workshop to discuss and showcase the proactive approach taken by several local companies, Howard Bank and BGE. The goal of the workshop is to share these best practices and stimulate discussion about this important issue and encourage other employers to establish similar policies and programs.